All about the tenacious Scottie dog. 1. Scottish terriers were originally working dogs, used to control vermin in the Highlands. 2. Some 40 Scottish terriers led the teams out at the Glasgow 2014 Commonwealth Games opening ceremony. 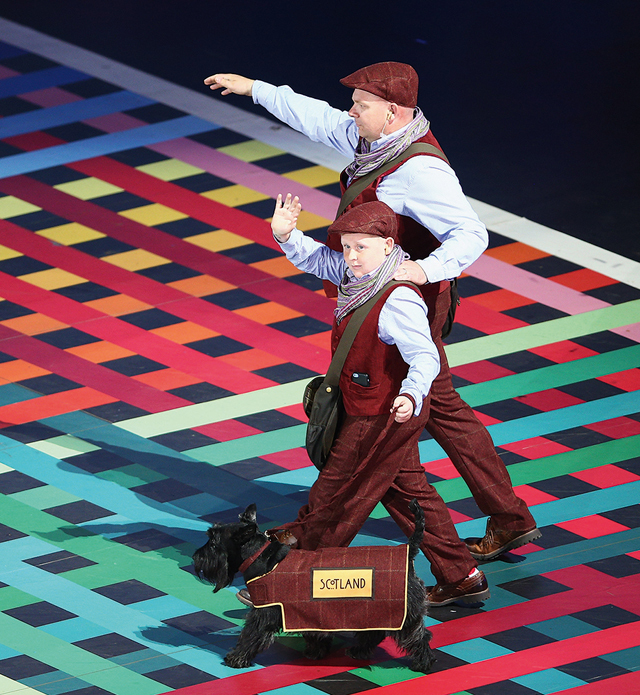 A Scottie dog walks with his handler during during the opening ceremony at the Glasgow 2014 Commonwealth Games. 3. The Scottie’s distinctive black colouring is a 20th-century phenomenon. In the earliest breed standard, written in 1880, Scottie colouring was described as ‘grey, grizzle or brindle’. 4. On both sides of the Atlantic, Scottish terriers peaked in popularity between the World Wars. In 1936, Scotties were the third most popular dog in the USA; President Roosevelt owned a Scottie called Fala from 1940. 5. The board game Monopoly, which took on its current form in the 1930s, features a Scottie dog as one of its playing pieces. 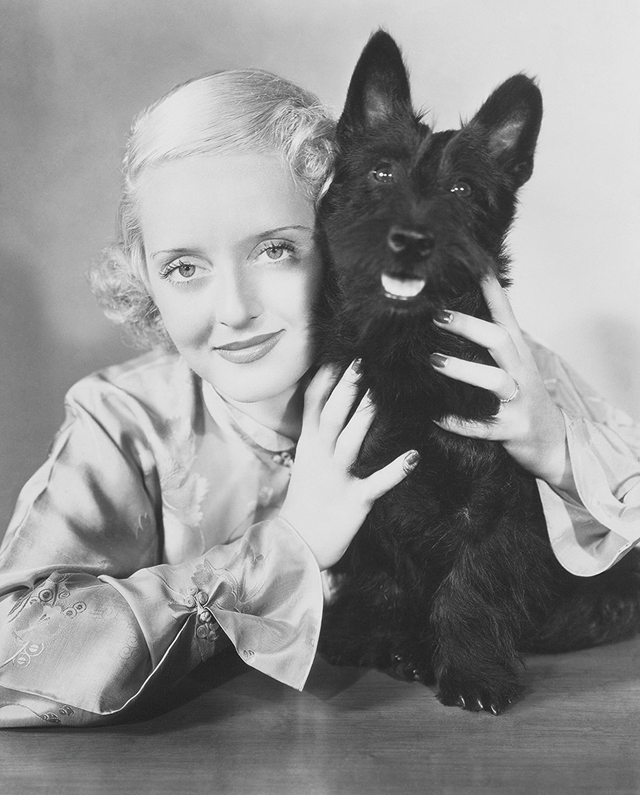 At the height of its popularity in the 1930s, the Scottie dog was a favourite with film stars, including Bette Davis. 6. Among Scottie-themed adult fiction from that period are the charming ‘Black Rod’ stories of C. B. Poultney, published by Methuen in 1934, describing the adventures of an engaging and energetic black Scottie, Roderick Dhu. 7. Famous owners have included Queen Victoria, Rudyard Kipling and, more recently, George W. Bush. 8. During the breed’s heyday, Scotties enjoyed a vogue among Hollywood actors, including Shirley Temple, Bette Davis, Joan Crawford and Humphrey Bogart.